I am pleased to announce that I am bringing you this important purrrlitical announcement from the official campaign press box. It is with great excitement that the Kitty Cat Pawty announces Oliver’s running mate, Olive. Olive and her staff at Three Chatty Cats, bring a maturity and thoughtful platform that fits purrrfectly with Oliver’s campaign statements. * An official Tortie day, and if elected, will organize a national “Tortie Tuesday” for every week. *She promises to campaign and legislate for all homeless kitties and is interested in instituting more clicker training in shelters to help with this. So folks, it’s official; and you heard it from the Kitty Cat Party official press secretary, in November, put your paw marks on the ballot for Oliver and Olive! The catidates want to hear from their constituents, so please send us your comments and questions. “We must vote for tuna, vote for catnip, vote for a brighter future for all cats.”. 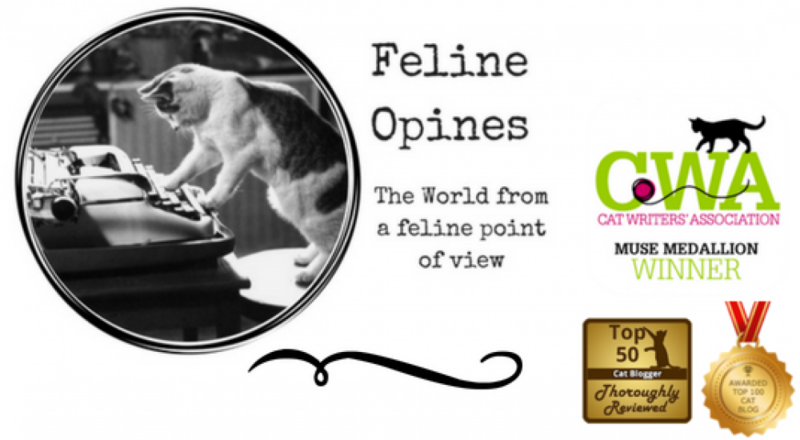 This entry was posted in animal shelters, Cat writers, cats, Oliver, Olive, Three chatty cats, purrresidant, Kitty Cat Pawty by Feline Opines. Bookmark the permalink. Alberto, Olive says very good job on the announcement. And she’s pleased with the photo – she says it captures her good side. Alberto here, thanks for the pawsitive comments. This is my first job as official spokespurrson and I want to do a good job. And, don’t tell my brother Oliver but I think Olive looks much more purresedential than Oliver!